Still down in the dreary winter dumps? Still have your eyes glued to a screen with seemingly no way to escape it? If there is one thing that can cheer us up faster and get us to put our cell phones back into our pockets, it is a vibrant explosion of color. With leaves taking over the trees and flowers in full bloom, color can be found almost anywhere this summer, but these fantastic international destinations take color to the next level. When it comes to Italy's most picturesque city, Venice typically runs the monopoly. However, there is a gem off-shore on the island of Burano. On this island, the technicolor houses that line the canal have history behind them. During fog season, the different bright colors were used to distinguish one family's property from another. However, outside of fog season, the bright buildings reflected on the canals create a symphony of color. Need a beach holiday, but find yourself tired of pristine white sand? As if that could ever happen, but for those that want a little extra beauty to their beach, head to the small Harbor Island just off the mainland that serves as a barrier to some of the Bahamas best beaches. 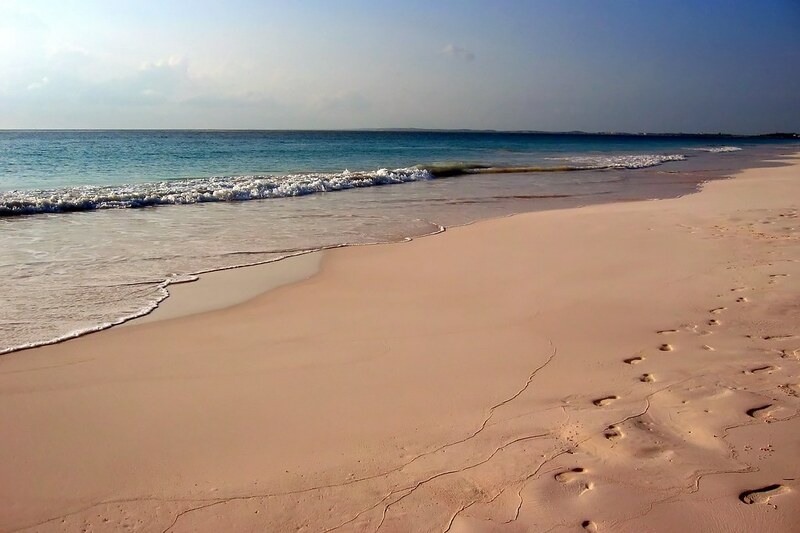 This island, accessible by water taxi, features the unforgettable Pink Sands Beach where the sand is colored pink against the contrasting blue water by thousands of pulverized pieces of broken coral and shells. Japan may be world famous for its cherry blossoms in springtime, but it does feature one additional blast of color in Hitsujiyama Park. This unique area just outside of Chichibu is home to 400,000 phloxes of a unique moss called Shibazakura. This moss blooms in summery hues of pink, purple, white, and red. While that is thrilling enough on its own, park officials have moved the moss so that it forms eclectic designs, the likes of which you will see nowhere else in the world. For decades, the Provence region of southern France has been growing and using lavender in everything from perfume to food. The flowers are grown, sent to distilleries, and used to make a number of products. However, before they can be shipped all over the world, the lavender must first transform Provence into an endless landscape of surreal violet fields. Not only are they proud of the product, but the picturesque views are a real point of pride for Provence. Puerto Rico's capital is an old city, one that is layered in history. When visitors leave the more modern areas of San Juan behind, they will find a seven-block neighborhood lined with buildings where no two colors are ever repeated. With old-world European architecture highlighted by vibrant palm trees, enjoy time in this area of the city by enjoying outdoor cafes and of some of the city's finest restaurants. Not all colorful places around the world are fields of striking colors or a rainbow array of buildings set against the blue sky. Sometimes it is our technology that transforms an average city into a work of art. When the sun sets on Hong Kong, it comes alive like a Christmas tree. Different glittering neon lights of every hue dot the cityscape, and in turn, are reflected off the water. For the best views of the city from Hong Kong Harbor, book passage on the beloved Star Ferry that travels between Hong Kong Island and Kowloon. These colorful international destinations beg to be explored, but you can get the same color right at home with your clothes. Ploumanac'h features the finest in Italian-made, hand-dyed summer clothes that will allow you to take the vibrant colors from these locations with you wherever you go. Contact usto learn more about our array of bright fashion.